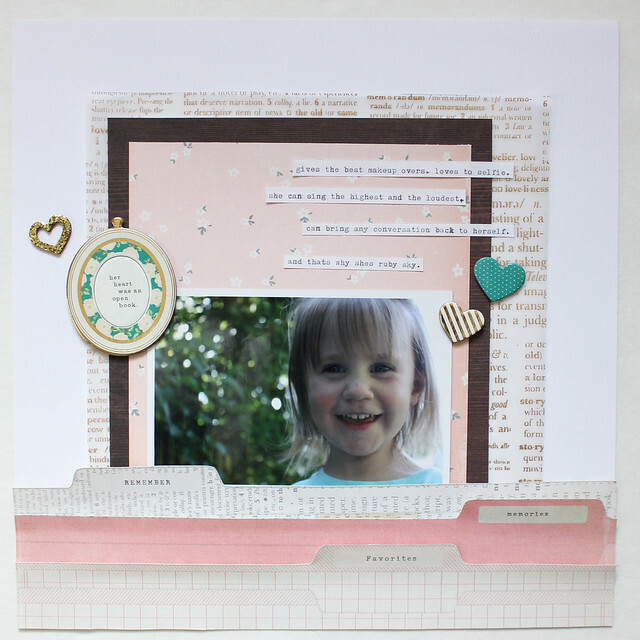 This is the layout I made for Paper Issues Sketchy Saturday. I inverted the sketch as I've been dying to cut that file folder paper apart for ages. 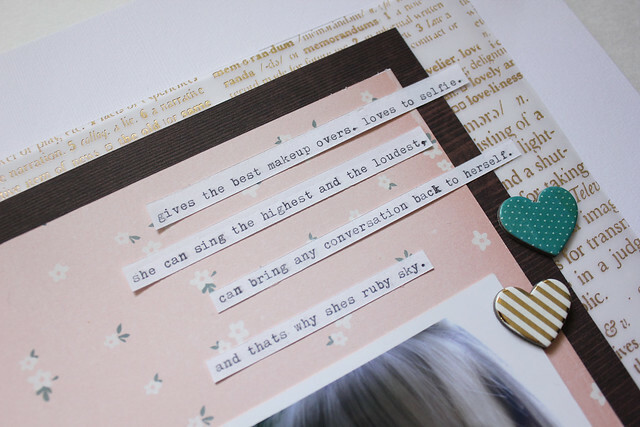 The layout is about my sweet niece, Ruby Sky and the hilarious things she says. She is the most articulate three-year-old and she is just too funny. I just love that gold vellum. I bought two pieces and it's definitely not enough. 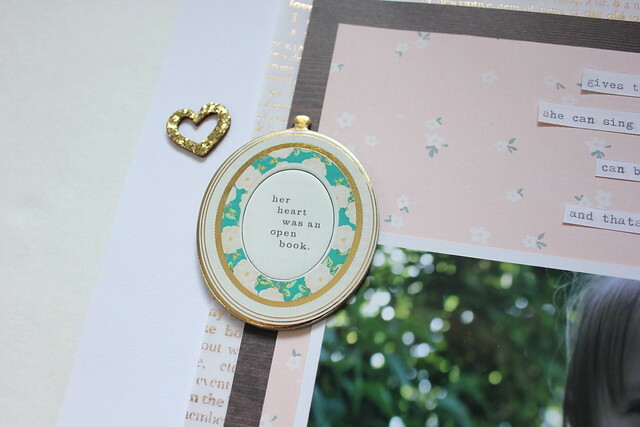 'Her heart was an open book" is definitely an appropriate title for this layout. Ruby Sky says whatever is on her mind. I really loved this sketch as it allowed me to really show off some of my favourite papers from Maggie Holmes'new line. Such a pretty LO! Thank you for linking it up to the current sketch party on the Paper Issues blog!